In this sponsored post, AVI-SPL shares what work factors to consider for optimal results from your workplace transformation efforts. Companies are prioritizing digital initiatives in hopes of improving productivity, developing more efficient processes, and boosting employee engagement. Executives know the time is now, but aren't sure which facet of work should be the focus of change. Rather than looking at technology as the sole solution to all challenges, it's important to see the big picture of work, including where employees work, how they do their work, and what tools they need to do their best work. That view is complex, but the end goal of workplace initiatives is to make organizations more agile, competitive, and innovative. To achieve that end, companies need to empower employees to create and collaborate. Here's what to consider about the where, what, and how of work if you want to see optimal results from your workplace transformation efforts. The modern employee should be able to work from anywhere, and companies can now balance virtual and physical workspaces for employees who want to work from home, the office, or the road. In your physical offices, you can improve the work environment by providing coworking areas and activity-based workspaces. By not dedicating desk space to those who won't use it, employees get the choice of workspaces, and companies save on real estate. Employees are no longer tied to desks, computers, and phones, allowing them to seek quiet, inspiration, fresh air, and colleague input as needed and on the go. In today's office, no one performs one task all day every day. The workday is spent doing different kinds of work, including work that is collaborative, creative, innovative, and focused. Employees need different kinds of spaces while maintaining a consistent work experience. Activity-based space allocation can be used for many kinds of activities, like relaxing and being social and connecting with coworkers. The line between work and home life is more blurred than ever, so forward-thinking companies are creating spaces that feel comfortable and homey. Today's workers want to work flexibly, remotely, collaboratively, quickly, and spontaneously. They want technology that is easy to use and that lets them get down to business as soon as they walk into a meeting room. They don't want to tinker with controls, trying to get technology to turn on and connect to everyone's devices. 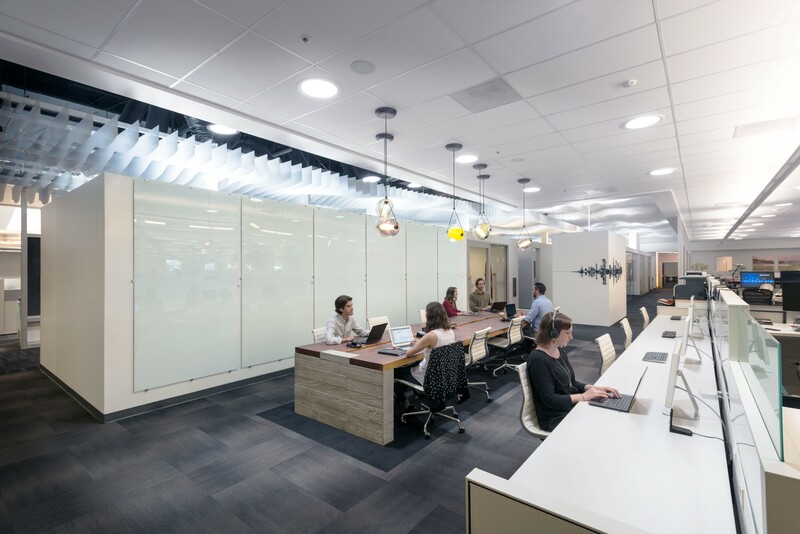 By equipping spaces with a variety of collaboration technologies, you get greater value from that real estate while accommodating various kinds of work and work styles. A single room with presentation, content-sharing, and video conferencing capabilities can replace multiple underutilized rooms. Technology can also be used to track room and technology utilization to help you better optimize space and learn more about how your employees actually work. Then you can make better investment decisions in the future. Though technology is not the only consideration in workplace modernization, it is the transformative one. Case studies show that the strategic use of technology can alter the work environment to suit a variety of work styles and inspire employees, allowing them to excel in their work. Learn more about workplace transformation in this CIO brief. Based on an AVI-SPL and IDG research study, it reveals how CIOs and IT leaders are enabling their transformations to a connected and collaborative workplace.